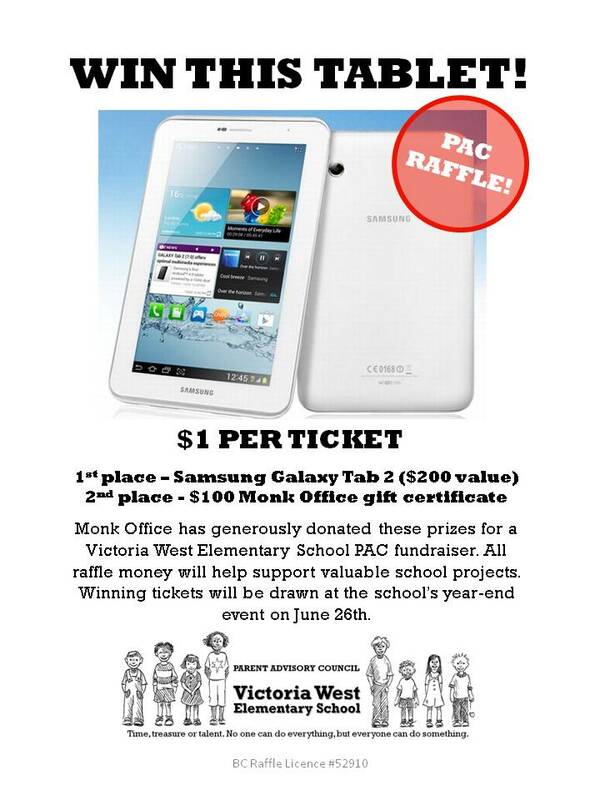 Vic West Elementary Parent Advisory Council: Win a Samsung Galaxy tablet! 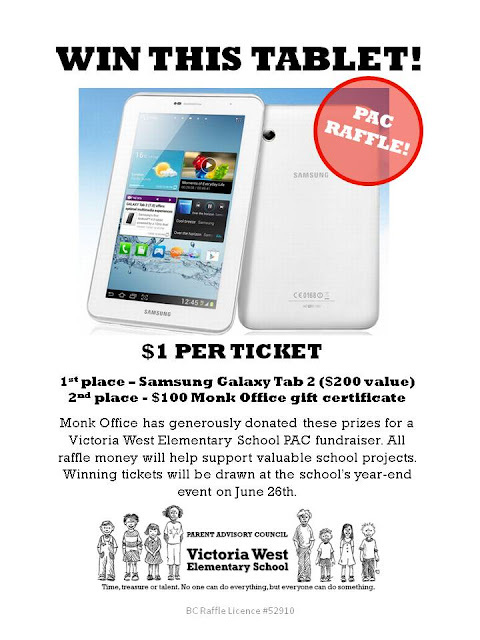 Win a Samsung Galaxy tablet! So gather your loonies and toonies and try your luck at winning these amazing prizes!